ESPANHA E ASSOCIADOS, civil law partnership incorporated in November 2004, has its head office in central Lisbon. 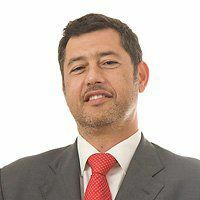 It is the result of a Corporate & Tax department spin-off from a law firm where João Espanha was the founding partner. The firm provides counselling, assistance and legal representation services before all jurisdictions, presently composed by three partners and nine associates (lawyers and probationer lawyer). All of them maintain a very intense professional activity, namely in Tax, Corporate, Financial and Labour law. The partners and all the co-workers at ESPANHA E ASSOCIADOS have based their activity on a high specialization of their knowledge, being frequently asked to render their legal services to public entities, other law firms and to lawyers with general legal practice. ESPANHA E ASSOCIADOS understands that the compliance of a certain situation or operation with the legal rules in force should be assessed before its completion - preventive advocacy is our moto. Our work stands on a partnership basis with our clients and we try to be quite active in providing information regarding any tax and legal situations to be dealt with, in order to maximize our client’s performances, which is done also by optimizing and monitoring the client's organization and its tax, corporate and labour law issues.